The Leprechaun franchise kicked off in 1993, offering audiences a bizarre blend of humor and horror. While neither a critical nor a financial success, the film managed to win over a passionate fan following, inspiring numerous sequels. The last film to land in theaters in the franchise was Leprechaun 2 in 1994, with all future films being relegated to the home video market and rare theatrical screenings. 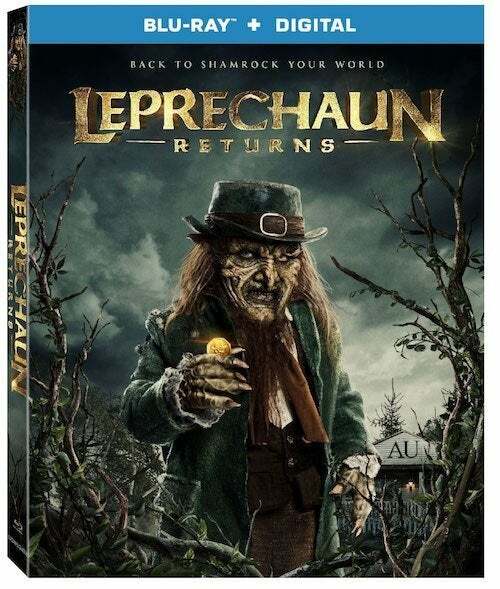 The most recent film in the series, Leprechaun Returns, debuted on VOD last year and saw its SYFY premiere this past St. Patrick's Day. For those who still collect physical media, the film lands on Blu-ray on June 11th with a handful of special features. In the film, "The deadly, wisecracking Leprechaun is back in all his gory glory. When the sorority sisters of the Alpha Upsilon house decide to go green and use an old well as their water source, they unwittingly awaken a pint-sized, green-clad monster. The Leprechaun wants a pot of gold buried near the sorority house, but first he must recover his powers with a killing spree—and only the girls of AU can stop him." The debut of the original film marked a transitional time for the horror genre, as slashers were beginning to embrace campier tones to entertain audiences. Director Kostanski previously shared with ComicBook.com that one of the biggest inspirations for his film was another early '90s horror film full of plenty of laughs. "I don't know if you could even classify it as a horror movie, but Army of Darkness was technically one of the first horror movies I ever saw," Kostanski shared last year. "And that was my gateway film into the genre, because I was like, 'Oh, these movies aren't all totally miserable, and just rooted in trying to terrify you as much as possible. They can be silly and a little more childish at times.' And I just liked the way that that movie would go from being really intense to being really goofy and back again. And so, with Leprechaun, I thought that was kind of a good template to follow." Grab your copy of Leprechaun Returns when it hits shelves on June 11th. Will you be adding the film to your collection? Let us know in the comments below or hit up @TheWolfman on Twitter to talk all things horror and Star Wars!